Recently I collaborated on a project with the Wang Center for Global Education and PLU Sustainability. 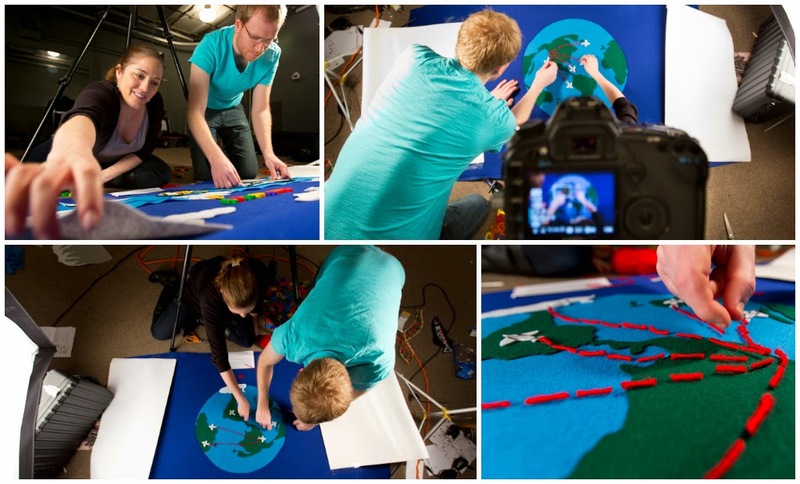 PLU was recently selected as a Finalist for the 2014 Second Nature Climate Leadership Awards, and in short, our group was tasked with creating a video that demonstrates the complex concept of “carbon onsetting” and how it is being utilized at PLU to reduce students’ carbon footprints. There was just one problem— the project had not yet begun. Since video is made up of moving images, the idea is to actually show something happening, but what could the team do when all we had to work with was an idea? We discussed a few well known advertisements, such as the UPS Whiteboard Campaign, “The Story of Stuff,” and “The History of Education” by Lightspeed Systems (see below). After doing this research, our first thought was to use simple animations generated in a motion graphics program, but this approach is extremely time-consuming and we were under a tight deadline. 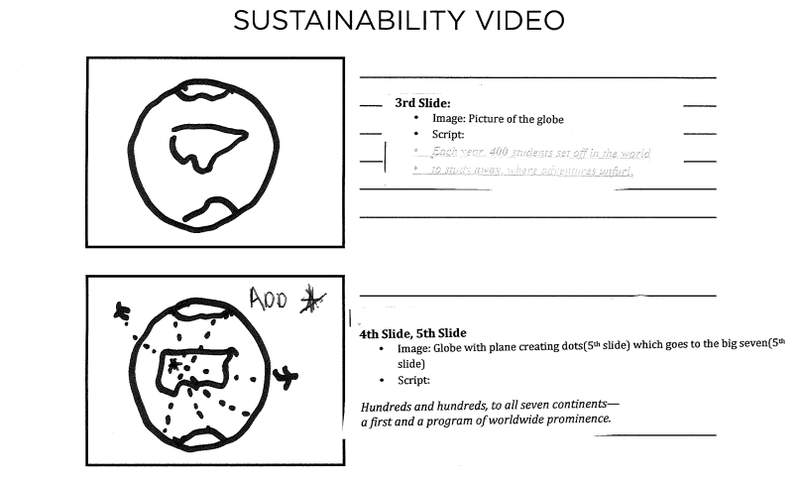 So, instead of going through the laborious process involved in motion graphics, I suggested that we try stop motion animation to showcase PLU’s sustainability efforts. Once we settled on using stop motion to tell our “carbon onsetting” story, the next step was to write a script and draw a storyboard. The team from Marketing & Communications was instrumental in this process, and wrote a rhyming script that added a lot of life and interest to the rather technical idea. They also drew storyboards, which are basic images of each scene. Storyboards help me as a video producer because they keep ideas organized and inform me as to which shots we actually need to record so that we have a complete finished piece. Of course, any project that involves a number of constituents requires that we seek input throughout the process, and so the script and storyboards were meticulously critiqued and edited until we were ready to begin production. Below is an example of one of the storyboards we used for this project. Video is actually a series of images that give the illusion of motion, and stop motion animation is a technique that takes full advantage of that fact. To achieve the desired effect, we created scenes out of felt and took still photographs, moving the objects in the scene in small increments (about a quarter of an inch) for each image. When all of the images were played in sequence, the objects appeared to move on their own. After showing our proof of concept (video below) to the group, we received approval to carry out the rest of production. While stop motion is less labor-intensive than detailed motion graphics editing, it does present its own set of challenges. The first thing we did was create a space on which we could film the scenes. In the campus studio, we flipped over a whiteboard and brought in lights to set the scene. One thing we underestimated was the time it would take to actually cut out the felt objects and design each part of the story, but once they were completed, the actual shooting was not difficult. Campus photographer John Froschauer even paid us a visit to document the production! This was a very different project from the interview-based material I normally produce, so it was great to let my creativity go to work. Please vote for our video in Second Nature’s Climate Leadership Awards competition today!